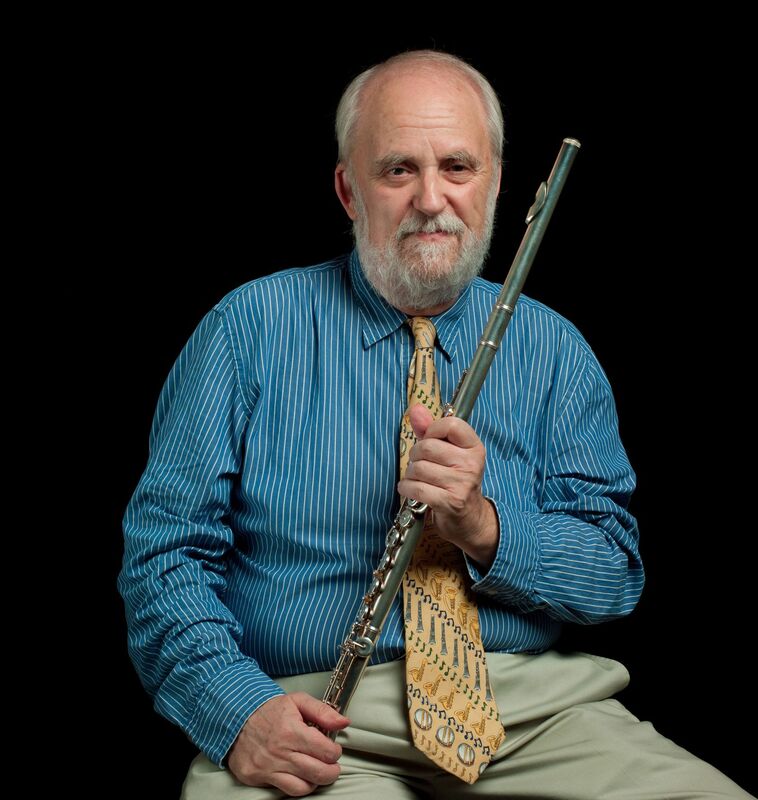 The Flute Clarinet Duos Consortium would like to let you know about the opportunity to be a part of an exciting new commission for flute, clarinet, and piano by American composer Pierre Jalbert. 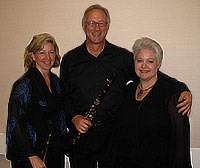 The Flute/Clarinet Duos Consortium (FCDC) was founded in 2000 by a group of professional flutists and clarinetists with the goal of enriching the limited chamber music repertoire for flute and clarinet through commissioning new works, arranging regional premieres by consortium members, encouraging the publication of new works, and seeking major donors for commissioning projects. Our commissions for flute, clarinet, and piano include Libby Larsen’s Barn Dances for flute, clarinet, and piano, Derek Bermel’s Twin Trio, and Valerie Coleman’s Portraits of Langston. If you are thinking of participating, please do so this fall. Each contributing duo will have their name published on the title page as a member of the consortium and will receive a performance copy of the work. Consortium members will have exclusive performing rights for one year after the world premier. We hope you will become a part of this exciting commissioning project by joining the consortium. The minimum cost is $250 (American funds) per duo. (You are welcome to give more if you choose to.) Each contributing duo will have their name published on the title page as a member of the consortium and will receive a performance copy of the work. Consortium members will have exclusive performing rights for one year after the world premier. FCDC members for our most recent commission from Valerie Coleman: Francesca Arnone and Stacy McColley; Betsy Bogner Wong and Bradley Wong; Leone Buyse and Michael Webster (Buyse-Webster Duo); Joanna Cowan White and Kennen White (Crescent Duo); Jill Felber and Paul Bambach; Lisa Garner Santa and David Shea; Leonard Garrison and Shannon Scott (Scott-Garrison Duo); Diane Gold-Toulson and Smith Toulson; Debora Harris and Leigh Wakefield; Jennifer Isadore and Michael Isadore; Linda Pereksta and Michael Rowlett (Doubled Air); Leslie Timmons and Nicholas Morrison (~AirFare~); Helen Ann and Richard Shanley. 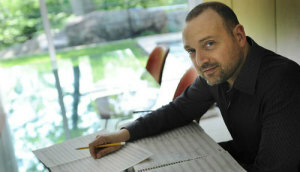 FCDC members for commission from Derek Bermel: Leone Buyse and Michael Webster (Buyse-Webster Duo); Jill Felber and Paul Bambach; Leonard Garrison and Shannon Scott (Scott-Garrison Duo); Marianne Gedigian and Richard MacDowell; Debora Harris and Leigh Wakefield; Jennifer Isadore and Michael Isadore; Teresa Ishigaki and Miles Ishigaki; Beth Larsen, Scott Ellington, and Julie Shaffer (Mountain Laurel Trio); Linda Pereksta and Michael Rowlett (Doubled Air); Lisa Garner Santa and David Shea; Helen Ann and Richard Shanley; Dorothy Stone (California Ear Unit); Julie Stone and Kimberly Cole Luevano; Leslie Timmons and Nicholas Morrison (~AirFare~); Diane Gold-Toulson and Smith Toulson; Joanna Cowan White and Kennen White (Crescent Duo); Betsy Bogner Wong and Bradley Wong. FCDC members for commission from Libby Larsen: Rebecca Tryon Andres and Michael Andress; Betsy Bogner Wong and Bradley Wong; Leone Buyse and Michael Webster (Buyse-Webster Duo); Jill Felber and Paul Bambach; Leonard Garrison and Shannon Scott (Scott-Garrison Duo); Jan Gippo and Jane Carl; Jennifer Isadore and Michael Isadore; Rhian Kenny and Jack Howell; Leslie Timmons and Nicholas Morrison (~AirFare~); Helen Ann and Richard Shanley; Diane Gold-Toulson and Smith Toulson; Joanna Cowan White and Kennen White (Crescent Duo); The Brannen-Cooper Fund, the Minnesota Contemporary Ensemble, and newEar of Kansas City.